To help drive operational efficiency and business improvements, organizations in the process industry are strengthening the bond between the Enterprise Resource Planning (ERP) at the corporate level, and the process control systems at the plant level. The challenge is how to implement and integrate these two separate systems, taking thousands of actions, data points and requirements and bringing them together in a comprehensible framework to exchange operational performance information for the entire company. The synergy between business and production operations require well-defined, streamlined and standardized processes that are effectively supported by software solutions and tools. Doing this on a case-by-case basis is an arduous, manually intensive and time-consuming task to undertake. The complexities are far reaching and impact many facets of the business. These tasks include creating a reference model for manufacturing operations management (MOM), determining a common set of terminology, establishing data models, defining where you want to be in the future and identifying the migration path to achieve it. It was partly for these reasons that ISA-95 was introduced. ISA-95 is an international standard for developing an automated interface between enterprise and control systems for global manufacturers. The intention was to provide a framework with consistency at its very core for both information and communication. ISA-95 provides standard terminology for supplier and manufacturer communications, with dependable information and operational models, providing a foundation for clarifying application functionality and how information is to be used. By not having a clear path to map information between systems, it makes it extremely difficult to align and integrate organizational functions and systems. Businesses may not have clear visibility of issues before they affect production. There may be a lack of information and data to know if production throughput is being maximized and where efficiency savings can be targeted. It can also be hard to determine and fully envision where business agility can be increased and if the supply chain is being fully optimized to create a more stabilized business environment. A well-established customer in the lubricants industry wanted to replace a proprietary interface that integrated two of its plant’s process control system with a bespoke ERP system that also incorporated a Laboratory and Composition Management System. The solution would need to facilitate a standards-based integration for both continuous and batch processes, through web services and the ISA-95 Enterprise-Control System Integration standard using B2MML (Business to Manufacturing Markup Language). The purpose was to exchange production schedules/requests and production performance (actual results) between the ERP system and the Yokogawa control system. Yokogawa provided a solution to replace a proprietary interface that integrated each plant's process control system with a bespoke ERP system at two of its lubrication plants. The exiting ERP system also incorporates a Laboratory and Composition Management System. The Exaquantum/MDX solution provides enhanced visibility of production operations and real-time key business metrics. Upon receipt of the production schedule message from the ERP, the Yokogawa system automatically creates batches in the CENTUM Batch system. Typically, a single production request is sent from the ERP systems for each order. The Yokogawa system sends a corresponding production performance message to the ERP system, reporting on actual production results. Multiple production performance messages can be sent from the Yokogawa system to the ERP for each order. Messages can be triggered by a variety of conditions within the Yokogawa system throughout the production cycle in addition to the end of batch results. Using the information, the FBS system is kept up to date with inventory information that is used for scheduling future batches. 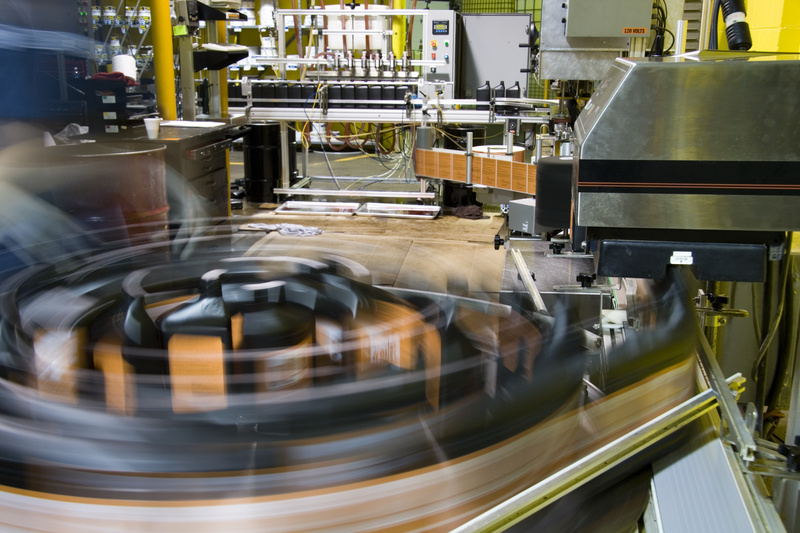 By aligning manufacturing operations and business processes it helps to ‘close the business loop’ by providing enhanced visibility of production operations and real-time key business metrics. This closer alignment is more synchronized providing a more common view across the business organization, where both the business and process can communicate using a consistent language. A distinct advantage of a common interchange language is improved agility, being able to move quickly and react dynamically in response to customer demands, which provides an edge over the competition and can drive profitability. With a more secure and reliable flow of information between the operational control and the process control systems, it streamlines workflows without the need for manual processing. Without the reconciliation effort and work that was required on the previous system, there has been a 50 to 60% increase in performance. The information used for the production result reports can be accurately corroborated with users having more confidence in the data. Information is easier to maintain with the Laboratory and Composition Management system being kept up to date with inventory information that is used for scheduling all future batches. By utilizing the ISA-95 international standards, it provides a solid platform for this solution. The ISA-95 standard uses B2MML interface provides greater functionality, with a richer message set to provide information that is more detailed. With the standard B2MML language, it is easier to build and send messages back and forth between the systems and modifications are more straightforward and flexible. The Exaquantum/MDX solution is ready to migrate to SAP so any transition from the existing ERP system is pain free through the utilization of the ISA-95 and B2MML standards.